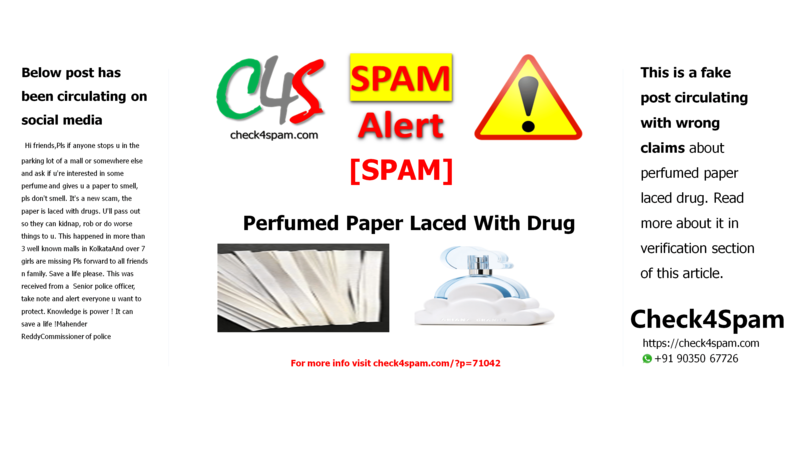 This post about Perfumed paper laces with drug circulating on social media is fake. Please find more details in this article. Verification: This is not true. Commissioner of police has not issued any such warning. Similar kind of message has been in air since 1999. There are actually no case reported as such. This message is being spread with different versions.